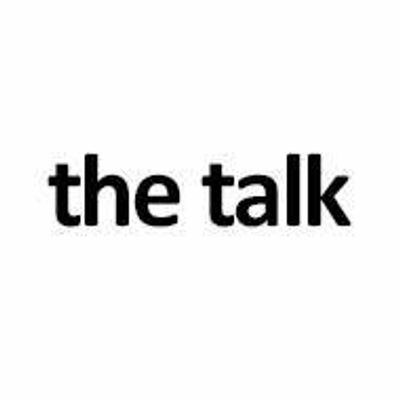 'the talk BIG IDEAS' will feature some of the successful entrepreneurs and experts to share their ideas and knowledge to empower the Entrepreneurs. 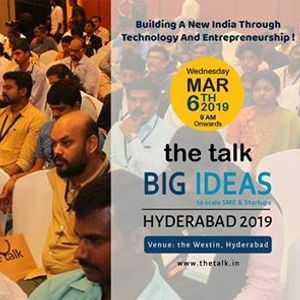 Entrepreneurs & CEOs of SMEs and Startups, Investors, Experts, Corporate leaders will be attending this daylong event, scheduled on 6th March, 2019 Wednesday at The Westin Hyderabad Mindspace. 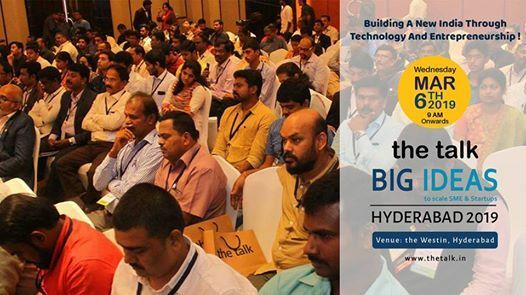 -> the talk BIG IDEAS Hyderabad edition will focus on the theme, Building A New India Through #Technology & #Entrepreneurship! 1. 10 Emerging Startups of Hyderabad Awards. 2. 15 Innovative Startups of Hyderabad Report. 3. 10 Emerging SMEs of Hyderabad Awards. 4. Emerging Woman Entrepreneurs of #Hyderabad Awards.